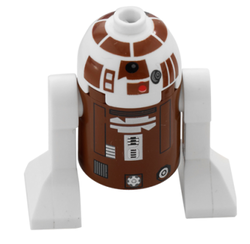 R7-D4 was an astromech droid that commonly co-piloted Plo Koon's Delta-7B Jedi Starfighter, The Blade of Dorin. He accompanied the Jedi Master in several battles in the starfighter, including the Battle of the Kaliida Nebula and the Battle of Kadavo. Plo Koon refused to let the unit undergo memory wipes to avoid losing its personality and experience.